Pollyxenia Joannou, Anthony Cahill, Kendal Heyes, Francesca Mataraga and Mog&Mog will discuss the ideas underpinning their outstanding exhibitions from 3pm. At 4pm tea and home-baked cakes will be served over casual conversation. Everyone is welcome to show-off their prowess in the kitchen and contribute to what’s on the TableSpace 😜; but don’t fear, we need eaters too. This is another fun, stimulating and community building event presented by AirSpace Projects! Pollyxenia Joannou and Anthony Cahill have been friends and colleagues for the past three and a half decades and despite being in close contact/discourse over this time, they have never brought their practices together in a collaborative fashion. So, during regular discussions about their work and where each artist saw their work to be heading, it was decided that they should work on a collaboration called Red Herring. 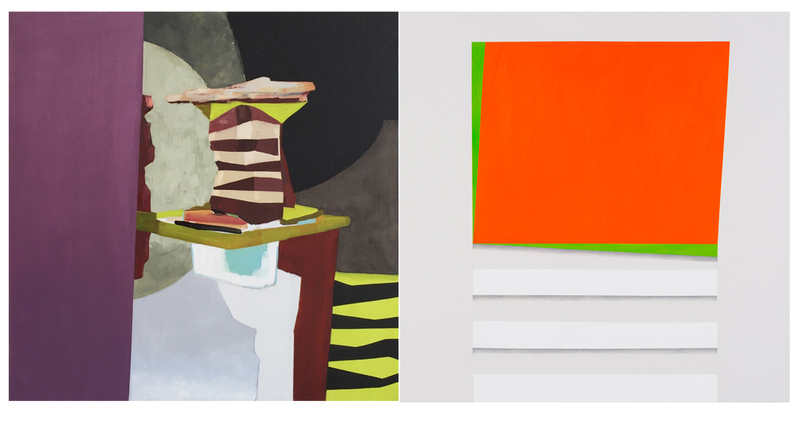 The aim of this collaboration was to explore what they surmised to be the similarities of each other’s work when exhibited side by side having been sight unseen by the other. It was decided that a theme could be used to give connection, a starting point for the exhibition. This connection was to be based on the subject of shadow as both artists felt an affinity to this as a concept and hence, Red Herring was born. Kendal Heyes’ paintings connect to visual experiences associated with Polynesia, in particular, the paintings on velvet of Polynesian women by Edgar Leeteg, popular in the 1930s and 40s, and tapa cloth works, especially the freehand works from Samoa and Niue. These paintings take from both Leeteg and the Polynesian artists an emphasis on optical effects as an aspect of painting. And like the tapa cloth works they take the form Rosalind Krauss identifies as centripetal grids: ‘Concentrating on the surface of the work as something complete and internally organized,’ each work consists of a series of departures and variations of the grid that frames it. ‘stripes and banners’ presents documentation and artefacts from a series of painting and sculpture projects from 2012 onward. These works differ in scale, scope and delivery quite broadly but are all based on a set of stripe motifs sourced from a series of fabric patterns. Each work was created for or adapted to a specific site or location and explores different ways of using the stripe motif. Some works are large-scale site-specific paintings or murals, other works are sculptural using domestic architecture – specifically the fence as a visual and physical mode of delivery. Further works have evolved into large-scale banners, literally becoming spatial paintings. All the works function as expanded or spatial paintings, situating the stripe motif in the landscape or in relation to existing architecture where the work in-situ is just as important as it’s photographic image. Mog&Mog are multi-disciplinary artists Alexandra Edmondson and Kate Fennell. As a creative partnership encompassing art, design, writing and film-making, they are interested in exploring perceptions of self and marginality of identity. Their new show, Future self, is an immersive installation exploring the formation of identity through storytelling. 4 images from top to bottom: 1. LHS: Anthony Cahill, Cave & Moon #4, 2016, oil on linen, 90 x 90cm. Photo credit: Anthony Cahill. RHS: Pollyxenia Joannou, Shadow Whisper, 2016, oil, pigment on wood, 90 x 90cm. Photo credit: John McRae. 2. 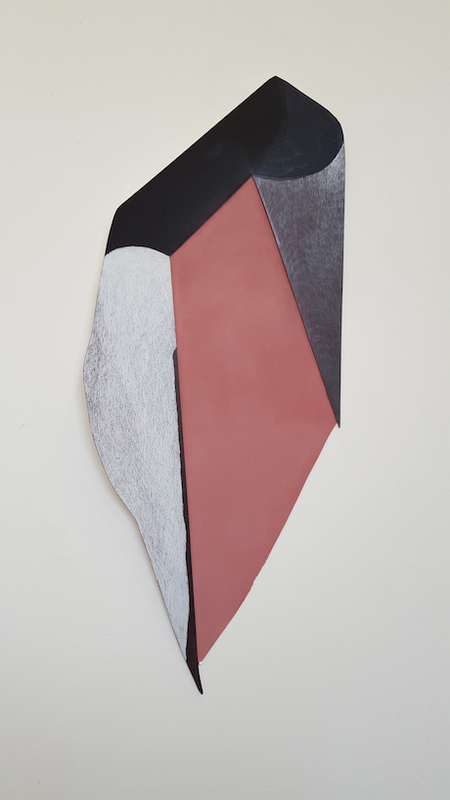 Kendal Heyes, Untitled #10, from Polynesia series, 2016, oil and crushed marble on velvet , 120 x 91.4cm. Photo: Kendal Heyes. 3. 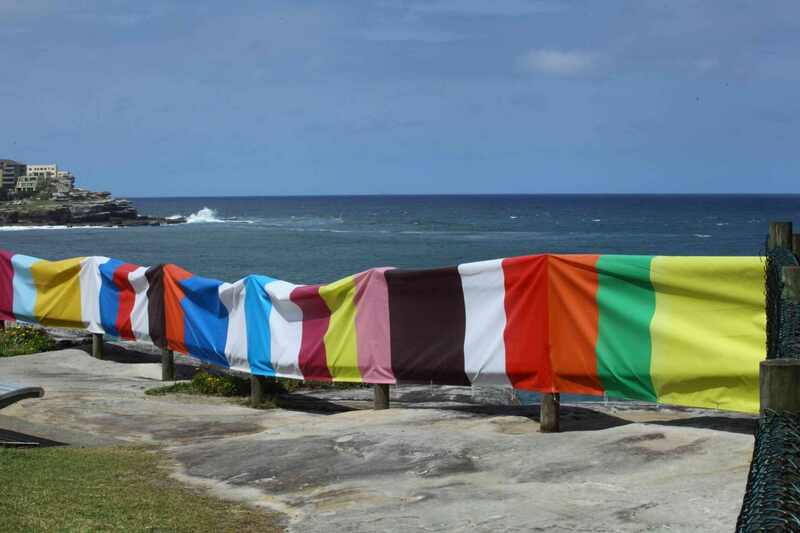 Francesca Mataraga, ‘photographic documentation of banner for Sculpture by the Sea 2014 (Tamarama)’. Image courtesy the artist. 4: Mog&Mog, Future self, 2016, digital image. Join artists Anie Nheu, Sarah Mufford, Sally Clarke, Brenda Factor and Sara Sohrabian for art talks that delve into topics ranging from the psychology of the displaced body to tessellation and the geometric ratio of 2:1:2:1:2; from inscribed skins and unintended consequences to the formation of dual identity. The talks will be followed by relaxed conversation over tea and baking concepts presented on TableSpace downstairs, a normally dull space that transforms into a gustatory spectacle on the third Saturday of every month. Why not demonstrate your prowess in the kitchen and participate in this highly coveted exhibition opportunity? We can only encourage you! Image above: August exhibitions. LtoR: Details of works by Anie Nheu, Sarah Mufford, Brenda Factor and Sara Sohrabian. One of the ideas that sustains Anie Nheu’s visual exploration is the relationship the body forms to the space it inhabits. ‘Relationship’ encapsulates the experiences of a body in a myriad of affect and effects, both tangible and intangible. The background narrative is told through a female body of a perpetual migrant who was born into a predominately patriarchal culture. Resettlement and adaptation brought changes in traditionally assigned roles. Negotiations for place and roles in new communities and at a micro level within the family were acutely felt. These ideas form the basis of the visual framework for the exhibition. Sarah Mufford’s practice explores intuitive, abstract expressionistic technique juxtaposed with mathematical patterning of circular, sacred geometry derived from Eastern and Western methodologies. 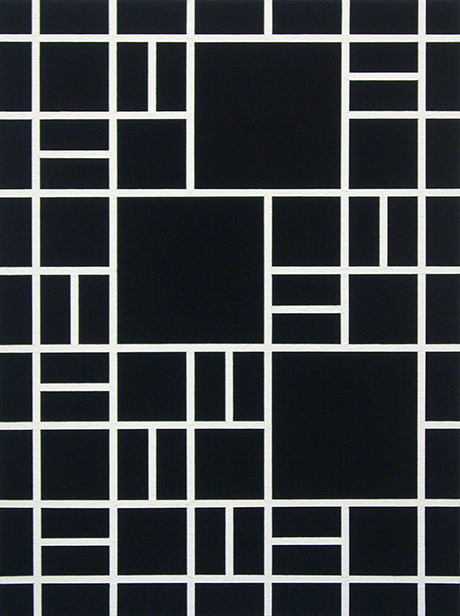 It is an acknowledgment of the history of abstraction and uses ritual as both process and philosophical driving force. 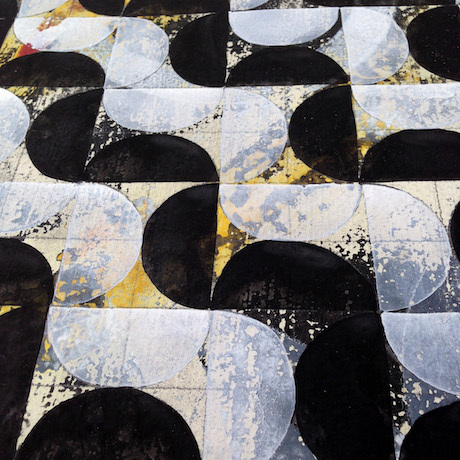 Overlapping, repeated circle tessellations form grids emphasising spatial relationships within the composition. The resulting four segmented star-like shapes painted in opaque white and transparent rose reference the mathematical process that Giotto and his Bottega employed in decorative sections such as fabric drapery and also in the manner with which he devised the gold star ceiling of the Scrovegni chapel in Padua, Italy. This geometric ratio is 2:1:2:1:2, or “One Between Two”. It is also found in traditional Indian Miniature painting and used as a ritualistic mantra and methodology in the depiction of any kind of organisational, decorative pattern from leaf and flower shapes, to fabric, brickwork, carpet and flooring. In Repeat Mufford uses this method of sacred geometry to organise the pattern of tiny plant references, gold leaf work and grid. Inspired by Dr Moreau’s experimental lab, Clarke and Factor combine, by way of a metaphorical vivisection, their practices and materials to create a hybrid installation of materials and ideas. Clarke literally references the scientist’s laboratory with a suggestion of unintended consequences while Factor produces skins impregnated with medieval imagery of fantastical creatures. Rupture/Rapture addresses the inevitability of change while acknowledging the strong hold that memory can hold over the present. For migrants, who have lost a direct connection to their culture and to the ties of their past, identity shifts between a duality. 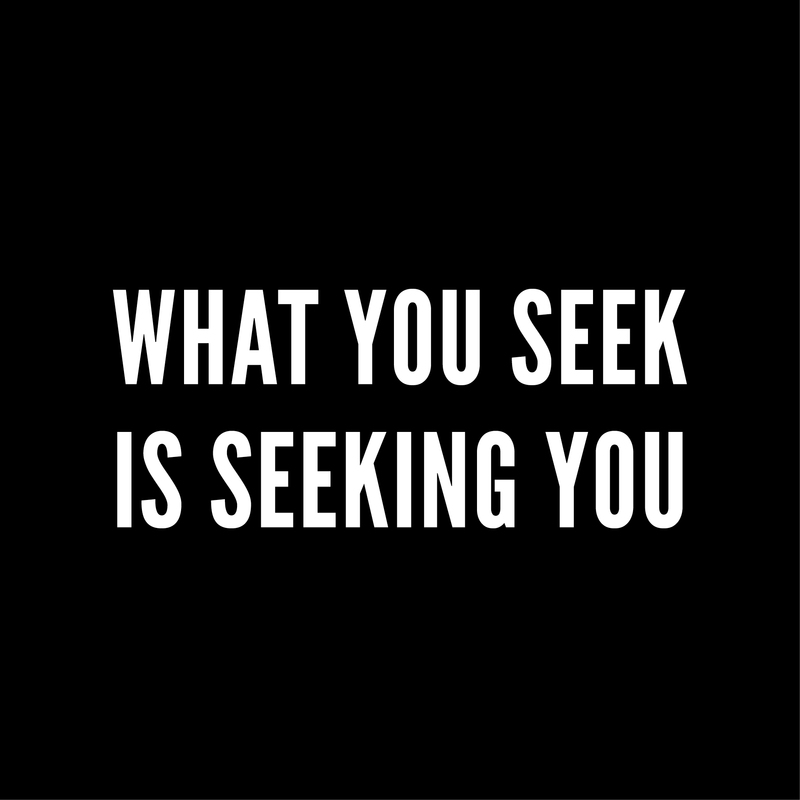 While embracing the many aspects of a new culture, a feeling of isolation, division and dislocation can ensue. Rupture/Rapture explores these complex feelings. Images Top to Bottom: Anie Nheu, Double-Edged, 2016, mixed media on design board, 56.5 x 17cm. Image credit: Anie Nheu; Sarah Mufford: Catalunya (detail), 2016. Image courtesy of the artist; Brenda Factor, Skins, 2016, silicon, various dimensions. 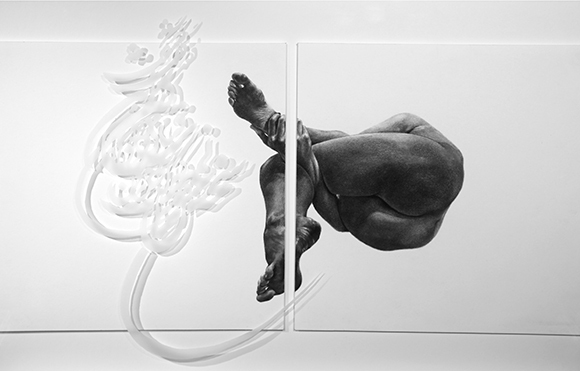 Image courtesy of the artist; Sara Sohrabian, Rupture/Rapture 5, 2015. Image Courtesy of the artist.